Once upon a time, games were generally recognisable at a distance from their charming 8-bit bleeping and the simple chirps making relatively complex melodies with very few resources to work with. A bit like what would happen if Bear Grylls was a composer. Nowadays however, games are getting harder to tell apart from movies or day trips to Afghanistan and I feel like this is taking away some of the charm. Of course, you would expect that with near life like pictures and physics, near life like noises and music would not be far behind. Metal Gear Solid 4 would not be the same if you had a monotone grind for every pixel that you snuck forward, or if Gears of War’s mighty roaring chainsaw bayonet screams were replaced with a high pitched tickle. Even though this is the case though, the simplicity of music in games from yesteryear has definitely etched itself as the standard gaming noise. For example, play a sound of Mario jumping in Super Mario Galaxy, and apart from his optimistic yell from exerting effort, there is just the dull thud of his feet impacting. Compare this with a game like Super Mario Bros 3, and each jump has a delightfully high pitched “whooooom” noise to it which makes it instantly recognisable as a jump from a game, as opposed to a scramble of feet from something, somewhere. I am not saying that games should not have the sounds that they do now, nor do I not appreciate being able to hear the altering screams of pain when individual limbs are shot off. It just seems that the games of today have lost their charm a bit. One of the last games that I can remember that completely charmed the pants off of me with its music was Banjo Kazooie on the Nintendo 64. The opening song was brilliantly done, and whilst not quite as retro as what I am really referring to, the system still had the limitations of not being pitch perfect and cinematic with sound, which seems to be the bench mark today. I am yet to come across a game that has been released in the last few years that has charmed me in quite the same way. Of course I have not played every game released lately so there could possibly be something, but possibly not very mainstream. However, whilst not a commercial game, Gang Garrison 2, the 8-bit de-make of Team Fortress 2 comes complete with a sound track to match the blocky un-touch which sounds amazing. Check it out. The word that has been used more than any other in this post has been ‘charm’ and variations of it. I really do like a lot of game music, but as much as I can commando roll with a plastic gun and enjoy the scores of MGS4, it fails to touch me. It fails to capture my heart and head, and make me think of the cheeping and beeping machines that made gaming what it is today. What flavour zombie is that? Evolution is a fantastic thing that we can see all around us. The people next door, the animals outside and even the abnormal growths on your back side are all based on many years of experience and change. Something a bit more on topic that has seen a huge amount of flux, especially in recent times have been the ever so playful and brain lusting, shuffling masses that are known as zombies. The big zombie boom in gaming really started with Resident Evil, when infection was spread through zombie bites, generally leading to a slow death and inconvenient revival of your fellow man. They mumbled, lurched and struggled to die properly, often absorbing a lot of your hard to come by ammunition in the process. Half-life had a similar strain of slow moving zombie, only this time it was brought on by a case of too much alien parasite sucking on your face. Whilst being called zombies, they were not the typical breed who were after your delicious brain matter and exposed flesh, a trend which seems to have continued in to today’s representation of the videogame zombie. For quite a while, it was only the survival horror series Resident Evil (or Biohazard in Japan) that had a sole focus on dead things being reanimated for sinister purposes. 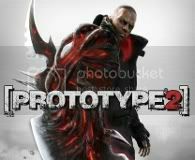 The series spans about 20 games at this time of writing, from the original survival horror titles, to on rail shooters. They have graced everything from all the Playstation consoles, to the Wii, Xbox 360, PC, Gamecube, Nintendo 64, Dreamcast, Sega Saturn, Game Boy Colour, Nintendo DS and even mobile phones. In recent times however, more and more zombies have been breaking in to other games with many variations that take away from the stereotypical, bumbling, clumsy, dead, flesh lickers that we have all grown to know, love and want dead again. It was Half-life 2 that first drew my intention to something that often terrifies me in games. The fast zombie. These things, as well as been uncharacteristically nimble, could bound over roof tops, climb up buildings and appear seemingly from no where to instantly create a future dry cleaning bill for your trousers. To top it off, they also seemed to have a similar resistance to bullets that their stumbling brethren have, making them a pain to take down. Left 4 Dead took an interesting angle on the zombies, and took inspiration from the running, screaming mental variety that 28 Days Later pictured. Instead of being quite immune to gun fire and beatings, they would go down with little effort, but the issues arise when you see a horde of 50 charging at you with murderous intent every 30 seconds. Whilst Resident Evil’s bullet sponge zombies were fun in their time, the satisfaction of mowing down crowds of things is just too good to revert back to small groups of super zombies. Dead Rising and the recently announced sequel are also good for crowd control fantasies. With the power of current generation game machines, technology means that zombies can come in packs of 100, as opposed to the smaller groups we were seeing ten years ago. At the end of the day, carving a path through a crowd of zombies with machine gun, chainsaw or moose head will always be a more satisfying experience than downing one or two with the same amount of effort. This may take away from the tension of survival horror, but it can also add a lot more frantic moments and excitement.